Palle Frid Svensson - IT professional and behavioural scientist with passion for entrepreneurship, social media and tea. This afternoon, I visited the MM Sports store who had a pre-inventory sale on their clothes and dietary supplements. I have never tried L-glutamine nor 7-Keto before, so it will be interesting to see the eventual results. I will report the results here later on. After visiting MM Sports, I went to Sportlife Ullevi and did a triceps/biceps/abs/core workout. It felt good, but I couldn’t find the weight belt, so the Dips exercise didn’t go that well (usually I add 30+ Kg). In summary a good day and I am ready for an awesome 2012 workout year!! Today, I attended the weekly Activio indoor cycling class as usual. It lasted for 75 minutes instead of 60 minutes. The workout contained four intervals lasting for 15 minutes each. We mainly kept the heart rate in the yellow zone with both low and high cadence throughout the intervals. I felt great and strong and managed to peak into the red zone in the end of all intervals. At most, I peaked at 96 percent of my max heart rate. 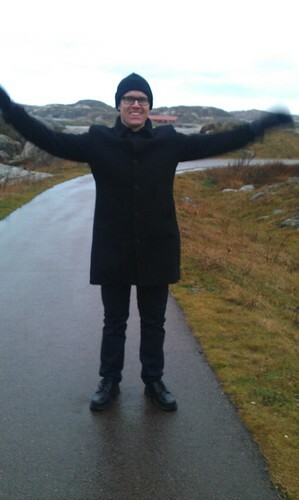 Have had a great day today visiting Helén Engblom at the lovely skerry island Tjörn!! (see the pictures). Just loved the weather today. Standing on the rocks, feeling the whipping ice cold winds making me almost fly away, hearing the surge high waves. It all makes me almost cry that I just have to sail away to the mighty oceans!!! A big dream of my is becoming a sailing explorer visiting islands around the globe.